Two top EU officials are in Washington to avert a trade clash on cars, but Donald Trump's tweets bode ill for the meeting. 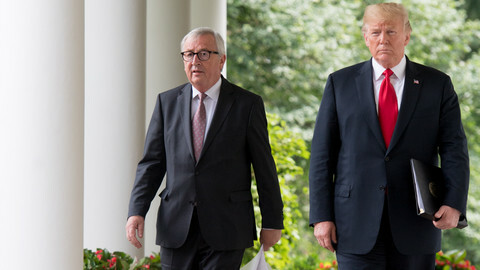 European Commission head Jean-Claude Juncker and trade commissioner Cecilia Malmstrom will meet Trump, the US president, and his treasury chief, Steven Mnuchin on Wednesday (25 July). The visit comes after Trump imposed tariffs on EU steel and aluminium, prompting a retaliation on US products, such as whisky and motorcycles. 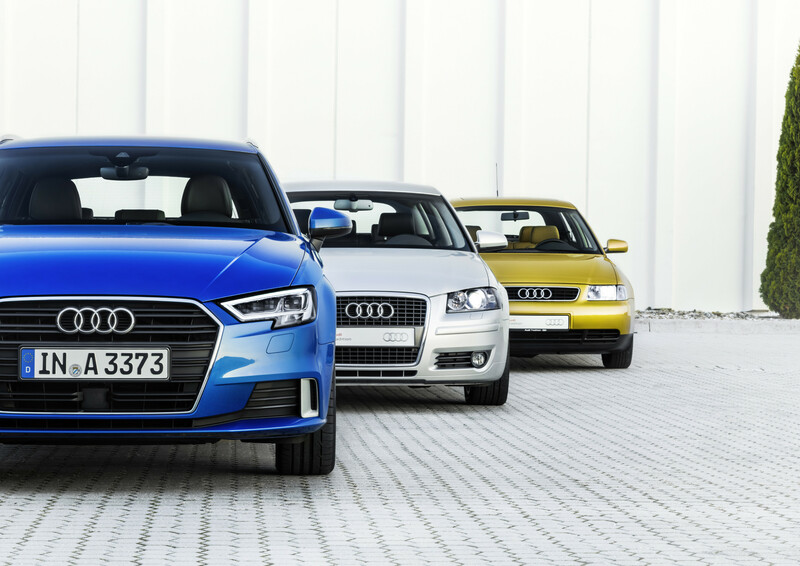 The fear is that Trump will next impose tariffs on EU car exports, escalating the dispute. It also comes after Trump called the EU a "foe" on trade, amid wider concern that the White House no longer sees Europe as its strategic ally on the world stage. 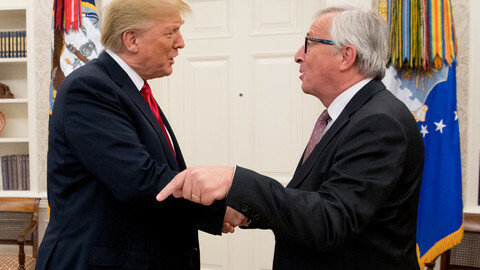 The EU commission told press on Monday and Tuesday that Juncker was not going to the US with a new EU offer on trade. But the EU has in the past floated two ideas to prevent car price wars - getting all big car makers around the world to drop tariffs or agreeing a limited EU-US free trade deal on goods. "This is an occasion to de-dramatise any potential tensions around trade and engage in an open and constructive dialogue," Juncker's spokesman said on Monday. "There are no offers. This is a discussion, it is a dialogue and it is an opportunity to talk," the spokesman added. "We want to diffuse the situation as soon as possible, to de-escalate this before it blows up in our faces, doing harm to the transatlantic relationship, our economies, and the global order," Malmstrom said last week. Trump noises on the eve of the talks tended in the opposite direction, however. "Tariffs are the greatest! ", he tweeted. 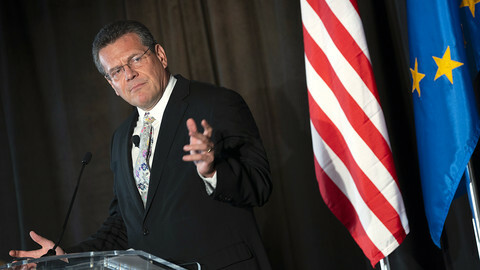 "Countries that have treated us unfairly on trade for years are all coming to Washington to negotiate," he said. "I have an idea for them. Both the US and the EU drop all tariffs, barriers and subsidies! 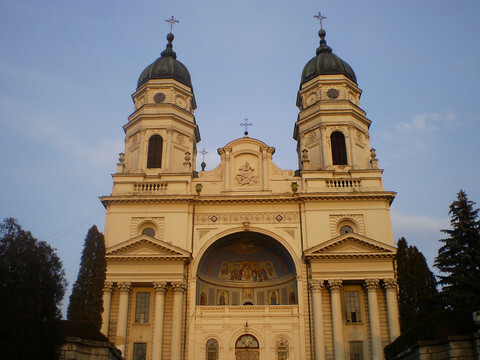 … Hope they do it, we are ready - but they won't!," he added. For his part, Germany's foreign affairs minister, Heiko Maas, whose country stands to lose the most in the looming cars clash, also took a firm line. "We are not heading into negotiations with a pistol at our chest. 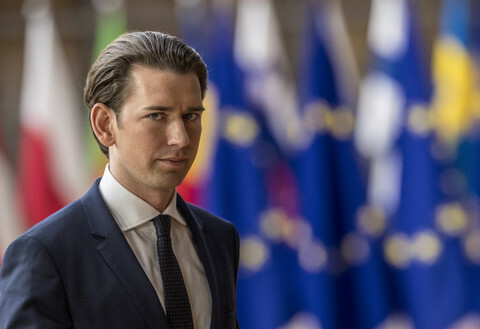 I don't think threats bring us closer to a solution," he told German public TV station ARD on Tuesday. "We will not be threatened and climb down so easily … In the end, all sides would lose, also the Americans," he said. His words echoed French finance minister Bruno Le Maire, who also said over the weekend that the EU would not negotiate "with a gun to our head". Up to 120,000 US jobs depended on EU car imports, with a tariff war putting these at risk, the EU warned in an 11-page study sent to the US ahead of Wednesday's meeting. If the dispute escalated, it could also wipe 0.5 percent off global growth, the International Monetary Fund has warned. That figure could be as high as 2 percent, the Bank of England said. It would also affect business confidence in open markets for years to come, the British bank chief, Mark Carney, said. Trump's anti-EU jibes were not slips of the tongue, but signs of a "conflictual" new era, Maros Sefcovic has warned. 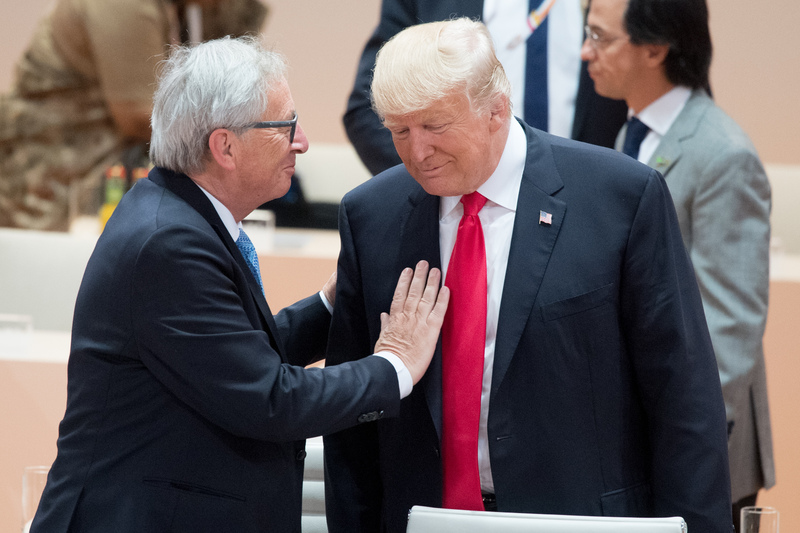 European Commission president will meet US president Donald Trump before the end of July to try to "de-dramatise" the tense trade relations. EU commission gets ready to hit back after Trump's decision to impose tariffs on European steel and aluminium. 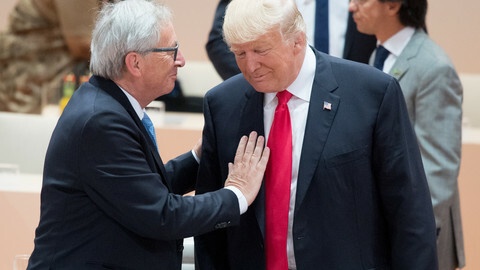 The US will not impose tariffs on EU cars and might take back ones on steel and aluminium, according to a magical Trump-Juncker deal. The EU commission chief agreed to trade talks even if the US president did not lift tariffs on steel and aluminium. But he avoided tariffs on cars and obtained a commitment to refrain from new unilateral moves. 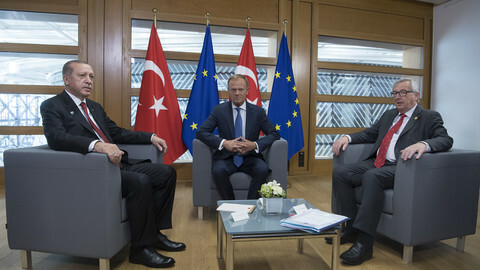 Both the EU and Turkey are on the receiving end of Trump tariffs, which placed them in the same camp against the US.